Specifications of the new mainstream graphic card from Nvidia appeared on a retail store "newegg", the listing is currently not available but someone managed to get it before put it offline. Its a Galaxy branded GTX 650 Ti "65IGH8DL7AXX" featuring the 768 CUDA cores, specification are different from what expected, with 966 MHz GPU clock, video memory is 1GB of GDDR5 clocked at 5.4Ghz and using only 128-bit of wide date bus, the card require just one PCIe power connector with six pins, the only dark point is there is no SLI connection. 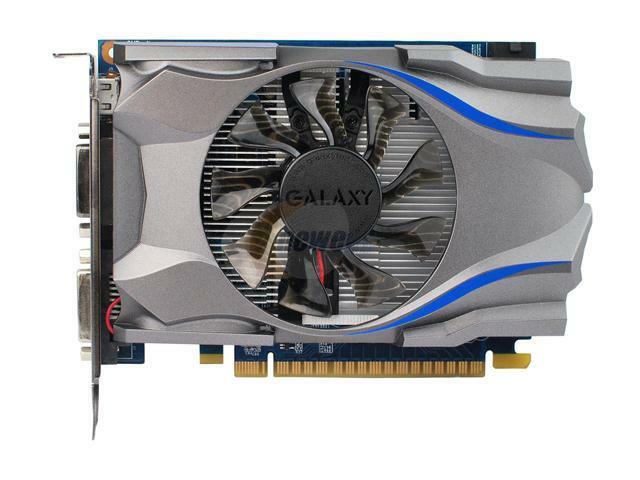 The Galaxy GTX 650 Ti "65IGH8DL7AXX" was listed for $149, quite high because of the brand. 6.88" x 4.37" x 1.51"